"There must be something wrong with those people who think Audrey Hepburn doesn't perspire, hiccup or sneeze, because they know that's not true. In fact, I hiccup more than most"
"I tried always to do better: saw always a little further. I tried to stretch myself"
"I never read articles about me because it makes me nervous to know what others think of me. I used to suffer so from gossip columns. There's never been a helluva lot to say about me.."
"My life isn't theories and formulae. It's part instinct, part common sense. 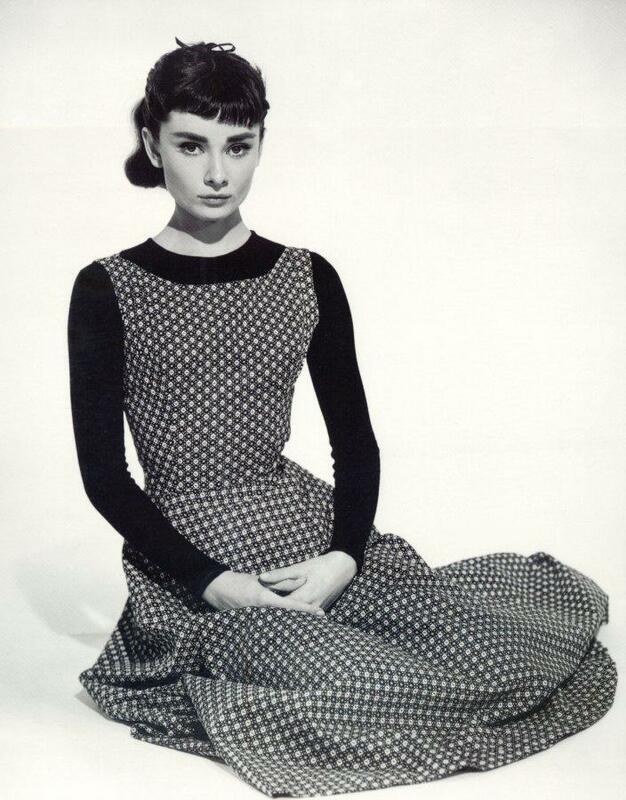 Logic is as good a word as anym and I've absorbed what logic I have from everything and everyone.. from my mother, from training as a ballet dancer, from Vouge magazine, from the laws of life and health and nature"
"I never met Audrey Hepburn, although, like millions of others, I felt I knew her." "God has a most beautiful new angel now that will know just what to do in heaven"
"Mother believed in love- that it could heal, fix, mend and make everyting alright in the end"
"She was so beautiful, you couldn't bear it. Along with everyone else, I would just drown in those eyes." "I am proud to have been in a business that gives pleasure, creates beauty, and awakens our conscience, arouses compassion, and perhaps most importantly, gives millions a respite from our so violent world. Thank you, Screen Actors Guild and friends, for this huge honor - and for giving me this unique opportunity to express my deepest gratitude and love to all of those who have given me a career that has brought me nothing but happiness." "I'm not a born actress, as such, I care about expressing feelings." "I never understood what makes me so special...that was a job, not reality." "I was lost without my mother. She had been my sounding board, my conscience. She was not the most affectionate person - in fact there were times when I thought she was cold - but she loved me in her heart, and I knew that all along. I never got that feeling from my father, unfortunately." "I remember the first time we met: he was wearing a yellow shirt, grey flannels, a red scarf knotted around his waist instead of a belt, and the famous feet were clad in soft moccasins and pink socks. He was also wearing that irrepressible smile. One look at this most debonair, elegant and distinguished of legends and I could feel myself turn into solid lead, while my heart sank into my two left feet. Then suddenly I felt a hand around my waist and, with his inimitable grace and lightness, Fred literally swept me off my feet. I experienced the thrill that all women at some point in their lives have dreamed of-to dance, just once, with Fred Astaire." "All my life I dream of dancing with Fred Astaire and what do I get? Caked in mud." "I am more than ever awed and overwhelmed by the monumental talents it was my great, great privelege to work for and with. There is therefore no way I can thank you for this beautiful award without thanking all of them, because it is they who helped and honed, triggered and taught, pushed and pulled, dressed and photographed - and with endless patience and kindness and gentlenss, guided and nurtured a totally unknown, insecure, inexperienced, skinny broad into a marketable commodity." reclaimed and redeemed and redeemed and redeemed. Never throw out anybody. Remember, if you ever need a helping hand, you'll find one at the end of your arm. As you grow older you will discover that you have two hands. One for helping yourself, the other for helping others. "